A SurveyMonkey survey found that nearly 10% of those questioned said they have shown up for work under the influence - high on marijuana. SurveyMonkey might not be the most scientific method in the world, but when it asked American workers to share their drug taking habits, it seems people were pretty honest. The survey was done for Mashable, and it asked 534 people to if they have ever gone to work under the influence. Nearly 10% said they have shown up for work high on marijuana. A whopping 28% said they’ve gone to work after taking prescription medication. Obviously these are two very different things. For example, 80% of pot smokers in the survey said they got it illegally, while 95% of prescription drug takers got their medications legally. 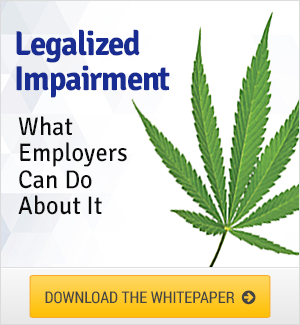 Regardless, it’s an issue that affects all employers, especially if you are in an industry where impairment could lead to danger. Click on the image below to check out the whole Mashable infographic on the topic.